In today’s generation there are so many ways on how entrepreneurs accept payments online. In the same way, there are so many ways on how an end user can pay bills through the internet. This can be in the form of cash, credit card, and can be through Personal Computers or mobile payments, among others. The mechanics are becoming much friendlier and there’s certainly one that will and can suit your needs. Coins.ph is one payment gateway that will not need you to get out of the house, withdraw money from your Savings Accounts, and line up at the nearest payment facility. All three would mean long hours to do depending how long and timely the process is. Through coins.ph, you can pay your bills whenever and wherever you want. It’s a convenient way to pay your utility bills without leaving the comfort of your home. Aside from that, coins.ph allows you to buy load, send and receive money, and shop online only through your mobile phone. Another way to pay utility bills as well as government fees transactions securely and conveniently is via PayMaya. Everyone can now use the PayMaya application on their phones and/or tablets to securely to pay bills. Just download the PayMaya app from the Google Play Store or Apple App Store from your mobile phone or tablet. PayMaya have partnered with the country’s leading bills pay fulfillment company Bayad Center to provide Filipinos a more suitable, faster, and more secure option to pay their utility bills and government fee requirements. You can now conveniently settle your bills on time using the ‘Pay Bills’ feature on the app. As of published date, you can pay your MERALCO, PLDT, Laguna Water, and Cignal bills. More private companies and government agencies will be committed to no time in the system including SSS, Pag-IBIG, PhilHealth, POEA, Maynilad, PRC, NBI, and Smart, and Sun Cellular among others. Digital payments company PayPal has announced its partnership with Philippines’ leading outsourced payment provider Bayad Center. This is to enable overseas Filipinos to pay the utility bills of their loved ones through the internet. Customers can now access Bayad Center’s online platform to pay their electricity, water, and phone bills through PayPal. This expands PayPal’s cross-border bill pay offering to the Philippines, which are also available through Xoom, a PayPal service. It is the Philippines’ pioneer and leader in the Outsourced Payment Industry. Moreover, it continues to blaze the trail in the industry by providing a dependable bills collection solution to its corporate partners, franchisees across the Philippines and now an online offering to the public and the OFW a reliable and convenient bills payment service solution. It accepts 200 types of bills in its system, to pay electricity, water, landline, internet, and cable. This portal allows you to continue to support your families addressing their billing needs as easily as making payment at a local Bayad Center in the Philippines, and without the hardships the OFW would otherwise face in finding time from work or an office to make remittance payments especially during public holidays or out of office hours. It has more than 5,000 payment locations nationwide including major malls, supermarkets, courier services, remittance outlets, and others. Aside from its over-the-counter payment channel, BAYAD CENTER also introduced the Touchpay Machine – an Automated Payment Machine strategically located in Biller Offices, Business Process Outsourcing institutions, Vertical Residential Developments, Drugstores, Gas Stations, and other Commercial Establishments. Finally, our goal is to continue to offer you a service and experience that makes life easier for you, the fabric of our society, therefore should you have any suggestions on how we can improve our services, please feel free to use the submission form on this site – we welcome your thoughts and inspiration to guide us in providing even better services. PesoPay is part of the leading online payment gateways in the Philippines. They offer retail businesses services like delivering reliable merchant services with a complete suite of online payment methods ranging from credit cards, debit ATM cards, e-wallets payments, and cash payments. Furthermore, they even allow over-the-counter payments to drive sales conversions nationwide. It accepts credit card payments securely from thousands of online shoppers nationwide. In addition, it’s an alternative payment which gives customers more options to pay online via direct debit, electronic wallets, cash, and even PayPal. It is one of the first ewallet services in the Philippines, which provides a payment service for both merchants and online shoppers. The service was provided by telecommunications company Smart Communications. It offers a web-based payment service for merchants to accept payments. Regular consumers must have a Smart SIM to avail of the service. The user will then have a designated account number that gives them the capability to purchase online. It’s linked to MasterCard, which means any payment from the ewallet will be equivalent to a credit card payment. On top of that, an SMS notification will be sent to the user when the account is used for any transactions. Aside from online purchases, it also permits users to pay bills and top up their phone credits using their ewallet balance. Users are charged a one-time fee of Php 120 upon applying for the Smart Money account, and will be charged an additional Php 2.50 for every online purchase and credit top-up. Yes, Smart Money is as easy as that. GCash is also being used by online sellers and shoppers, and other payment gateways. If Smart telco has Smart Globe, the giant telecommunications company has Gcash. Likewise, using the service would require one to have their own Globe SIM. By activating a GCash account, users just have to put in their mobile number linked to their GCash account on the designated e-commerce site; the balance will then be deducted from the wallet. It also uses an SMS notification feature that informs the user of transactions. It also offers bill payment and phone credit top up directly from ewallets. 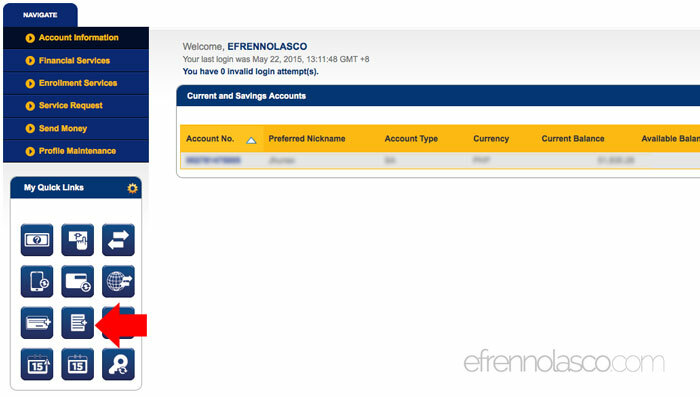 GCash users are billed Php 50 every month. Wow, I’m pretty sure that you weren’t aware of these ways. Now, you know how you can pay your utility bills online! With just a stable internet connection, a working computer (or even a smartphone), you are not anymore required to go through the hassle of traveling, queueing up for long lines, or a very early morning appointment. With these ways, you can be assured that you can pay your bills on time, on-the-go, and without having too much hassle.